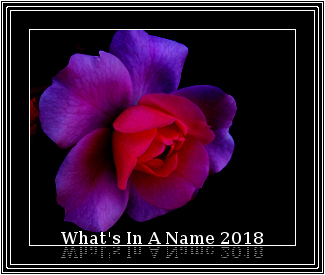 This year the What’s In A Name reading challenge is being hosted by Andrea at The Carolina Book Nook. These are the books I read, linked to my reviews. I began reading Zoo Time by Harold Jacobson early in the year, but it wasn’t appealing to me at the time and put it back on the shelf. Recently I’ve picked it up again but I’m not sure I shall carry on with it. I enjoyed the books I finished reading, especially The Grapes of Wrath. My thanks to Charlie for hosting this challenge. My sign up post for What’s In a Name? 2019 with a new host, Andrea at The Carolina Book Nook will follow tomorrow. 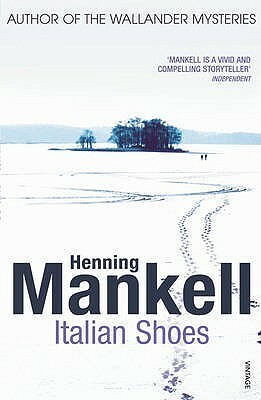 I decided to read Italian Shoes by Henning Mankell, translated by Laurie Thompson, after reading After the Fire his second book about Frederick Welin. The events in Italian Shoes take place eight years earlier and explains in more detail Welin’s background and why he lives in self-imposed exile on an island in the Swedish archipelago. The two books can be read as standalones, but I think it would be better to read them in order to make a complete whole. These books are not Kurt Wallender mysteries but are character studies of a man living on his own, trying to come to terms with his past and reflecting on ageing and death. He cuts a hole in the ice every morning and lowers himself into the freezing water to remind himself that he is alive. If this description makes Welin sound cold that is because he is a loner and finds it difficult to open himself up to others. He is sixty six, lives alone, apart from his cat and his dog, both of them old and dying, and he has no real friends. There is Jansson, a hypochondriac, the postman who visits daily, but Welin doesn’t like him. He has come to a point in his life when he can’t decide what to do but suspects that his life would continue in the same way and nothing would change. How wrong he was! That January after a snowstorm he saw a figure standing out on the ice motionless leaning on a Zimmer frame three nautical miles from the mainland. It was Harriet, the woman he had loved and abandoned nearly 40 years earlier, leaving her without any explanation. 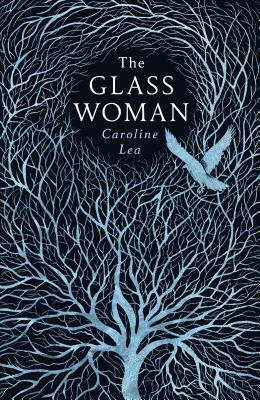 From that point onwards his life changes dramatically, for Harriet is terminally ill and wants him to take her to a small lake in northern Sweden, hidden deep in the forest; a place Welin’s father took him to once as a boy. But there are more revelations and he is forced to face the mistakes he made in the past. The book is written in four parts, or Movements – Ice, the winter in which Welin is frozen both in his emotions and feelings, The Forest, the spring as his life and feelings begin to emerge, The Sea as his life begins to change and finally, Winter Solstice as the days start to lengthen and Welin’s new life actually begins. When the shoe fits, you don’t think about the feet. 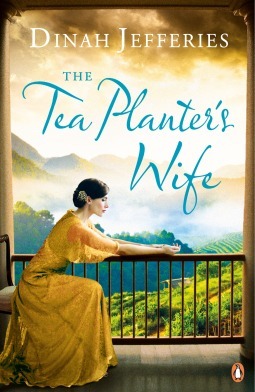 Feet and shoes are mention several times throughout the book – Welin wears cut-off wellington boots most of the time – Harriet used to work in a shoe shop – and an Italian shoemaker who lives in the forest promises to make him a pair of shoes. The second thing that made me wonder is the presence of a gigantic anthill in Welin’s living room. I do not like ants at all and the thought of an anthill next to a table in the middle of the room, almost as high as the table, swallowing up the cloth hanging down over the edge is horrific. It has been there for eleven years, containing maybe a million or more ants and Welin does not want to part with it – until the end of the book. I decided it symbolised his inertia during the time it had been growing and he watched the ants at work. Its removal signified the change that takes place in his life. Although this is a dark and melancholy book, as it progresses Welin begins to come to life again and to interact with others, taking responsibility for his past actions. 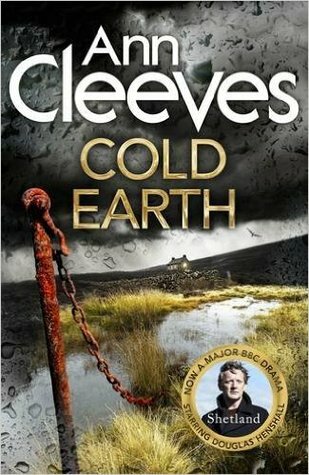 It’s a beautifully written book, with vivid descriptions of the settings and the weather and I found it absolutely fascinating. This book slots into the only reading challenge I’m doing this year – What’s in a Name 2018. It fits into the category of a book with a nationality in the title. It’s also one of my TBRs.